Bugs are bad. In real life and software alike, a houseful of bugs is a problem. Historically, gamers expect games to be bug-free enough that the bugs we do find are noteworthy. 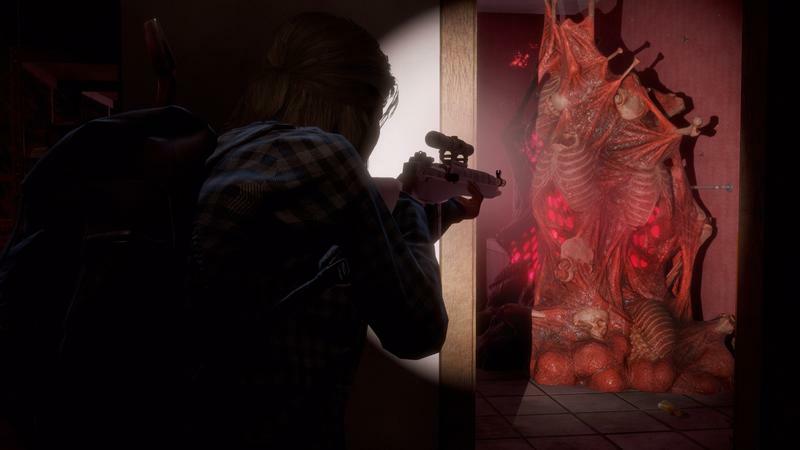 As games have gotten bigger, eliminating bugs has become a taller and taller order to the point where in recent years there's come a trend of janky, glitchy games where the unreliability is a feature rather than a problem. 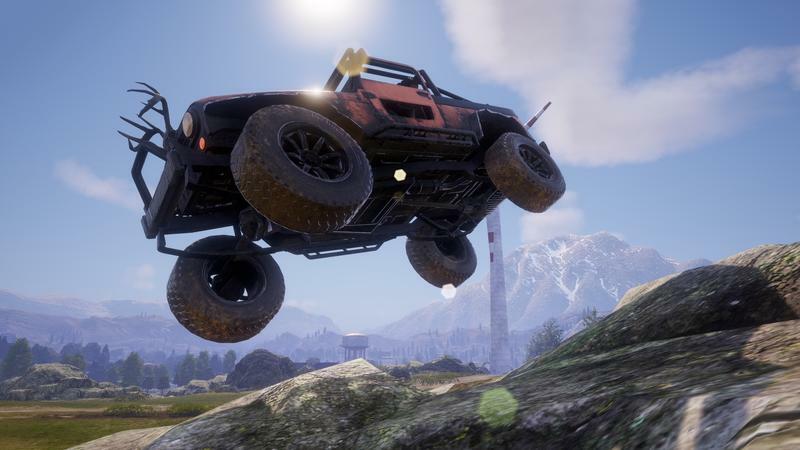 Games like PlayerUnknown's Battlegrounds are fun to watch on streams not just because of the tense, explosive battles and the long-range sniping, but because sometimes the streamer will hit a pebble and their car will spin out of control, or their gun will get stuck in place while their character's arms stretch to hold onto it. 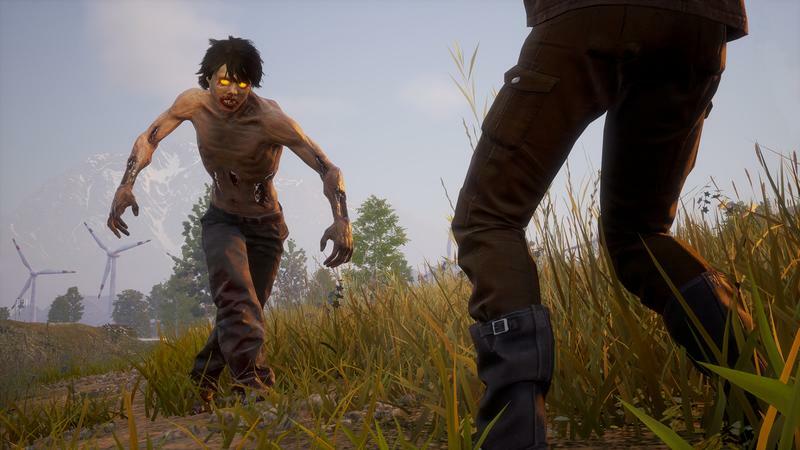 One of the first games I can remember that gamers shrugged their shoulders at and played despite the bugs was Undead Labs' State of Decay. It was released in the twilight of the Xbox 360 era back in 2013, just months before the release of the Xbox One. Despite its glitchy gameplay, it became one of the fastest-selling digital Xbox 360 games, selling 700,000 copies in less than a month. I missed it at launch, but ended up playing the Xbox One release, calling it "the worst best zombie game I've ever played." 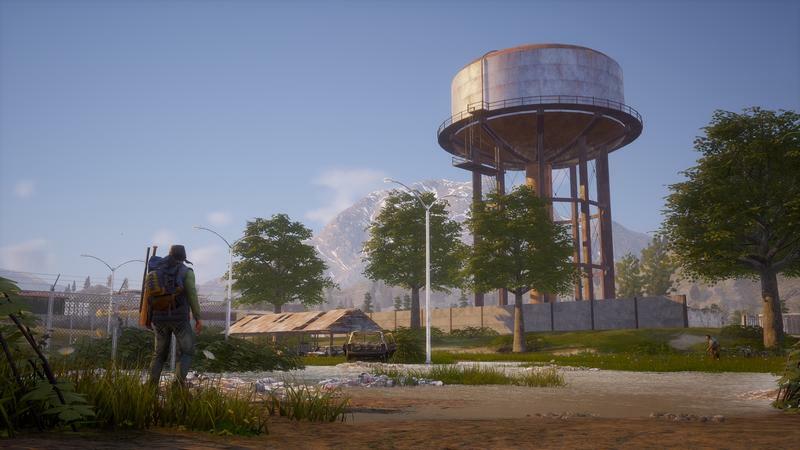 Now, five years after the release of the original, the sequel is here: State of Decay 2. This is Undead Labs' chance to show us whether that janky feel is an inherent part of their games … or because it was just a little too big for the Xbox 360. 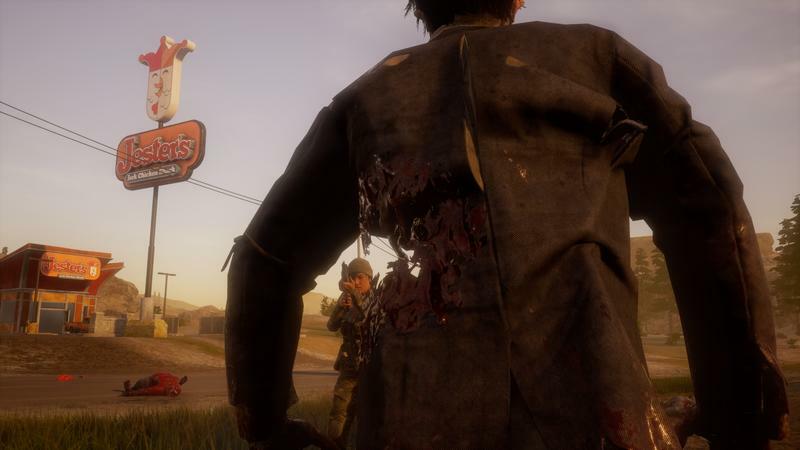 State of Decay isn't like other zombie games and stories. Usually, in zombie stories, we get one of two options. With Option A, the humans are the real monster, as the Walking Dead has spent the last eight years reminding us. 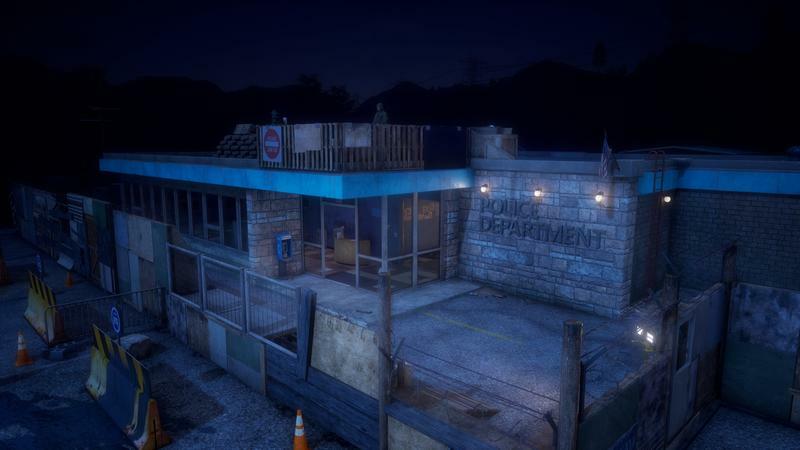 With Option B, zombies are targets for action-hero guns, as in the Resident Evil franchise. 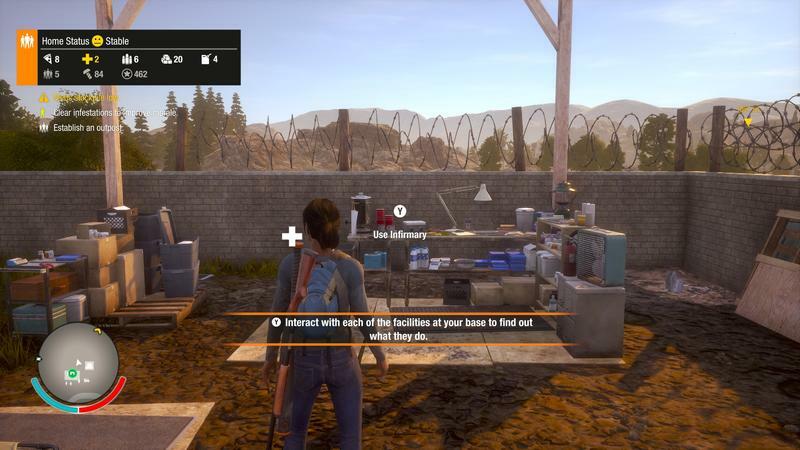 In State of Decay, zombies are something simpler: an environmental hazard. Just like a deathly-cold winter, a forest fire, a flood, or any other thing our earth can throw at us, zombies are an obstacle to survival. Humans in State of Decay typically want to work together or join up. People share things with each other, and enclaves of people are just crowded homes, not cults. Crowded houses get tense, sometimes, but people work things out. 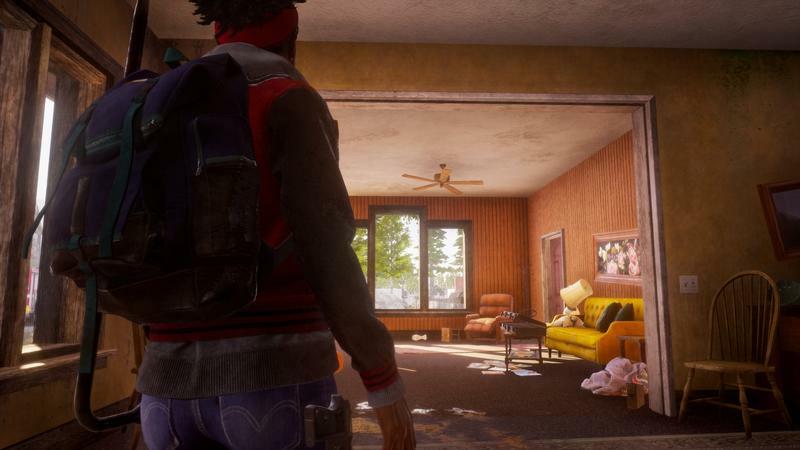 And so your goal in State of Decay 2, as in the previous game, is to survive and provide a stable life for yourself and those who join up with you, despite the almost constant stream of obstacles and hazards strewn in your way. Accidents and disagreements in the home, the occasional zombie horde, or a resource expedition that goes sideways — all those can throw things off, and so you have to compensate and mitigate. Throughout all this, you're stepping into the shoes of each of these survivors. 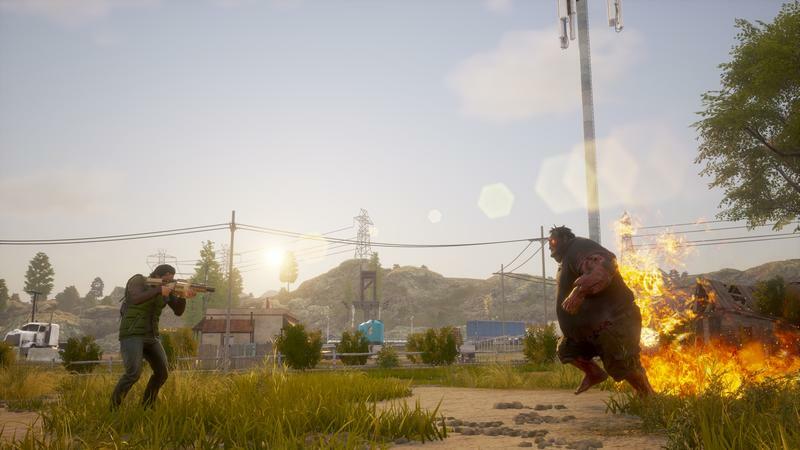 You level up their skills by going on expeditions and searching deserted houses and businesses, taking down zombie infestations, and doing favors for other human enclaves. 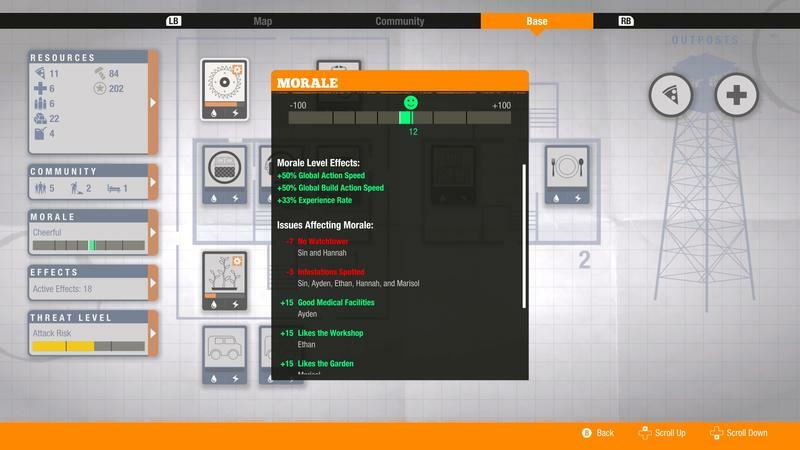 All the while you have to monitor your own health, stamina, fuel, and ammo supplies, as well as those of your home base. I'm kinda tired of zombies. I've been tired of zombies for a long time. 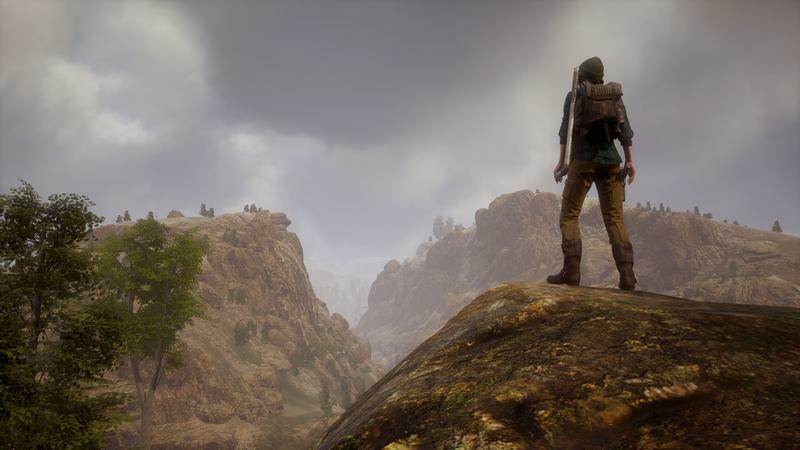 But thanks to the original State of Decay, I've been eagerly awaiting this game since it was announced. 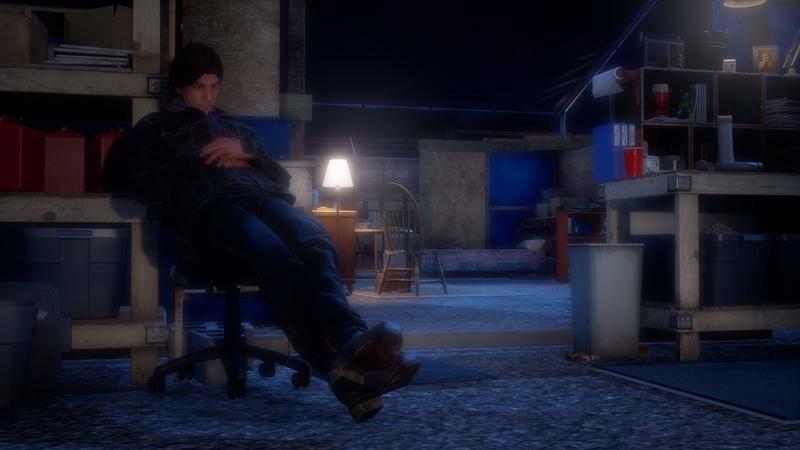 Despite some pretty stereotypical story beats, the game's survival mechanics were compelling enough to get me to play through the entire game even though I checked out of both the Walking Dead TV show and game before the first season even ended. The original game was as ugly and bug-riddled as the zombies you fight in the game, but I couldn't put it down. And that's also how I would describe State of Decay 2. How janky is too janky? 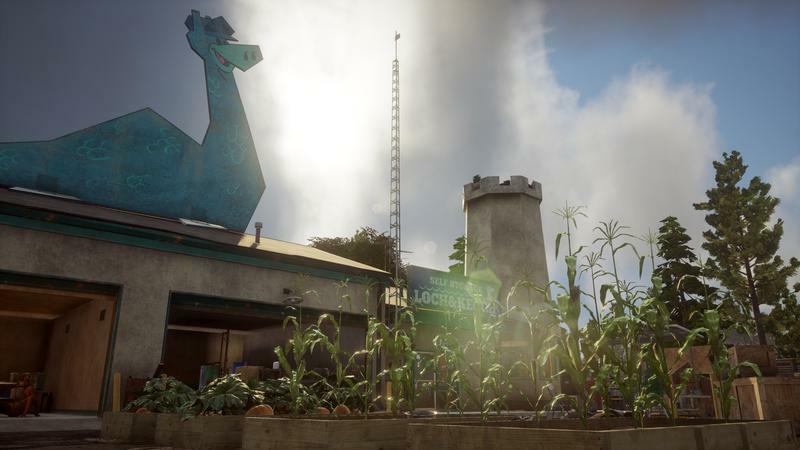 I can boil down how troubled State of Decay 2 is by telling you about one menu item. In among the other calls for help you can make to NPCs or other players – this game has multiplayer, more on that in a second – is a button that exists solely to unstick you when you get stuck in the world geometry. And there's a 100% chance you'll use it. 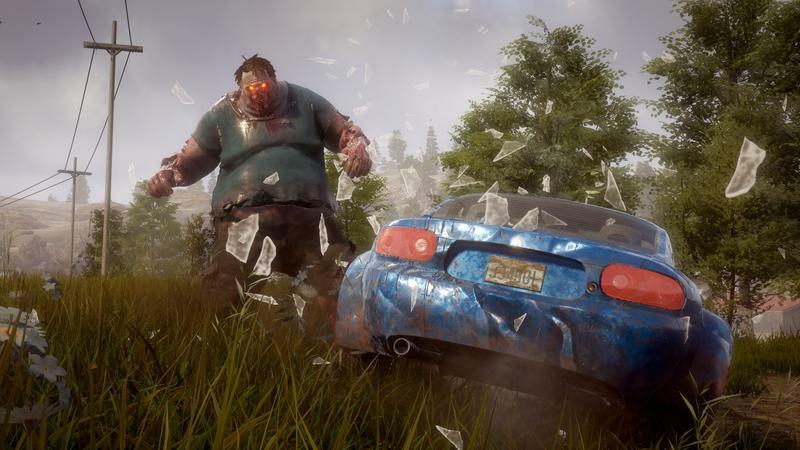 State of Decay 2 is a game you play in spite of bugs. You'll spend time dancing around a searchable box trying to get the search to start. You'll climb up a ladder only to find one of your inactive characters endlessly climbing up and down the rungs. You'll switch to a character next to you and suddenly find that character in a totally different room of your home base. 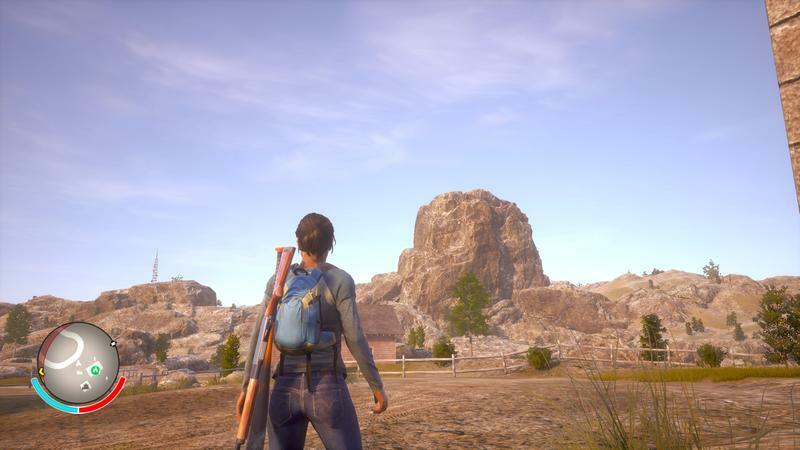 I enjoyed my time with State of Decay 2, but always conditionally. In a zombie game, death is a fact of life. But when my characters died, it seemed more like the game took them from me than the zombies. Most often, it was the shoddy AI that killed them. 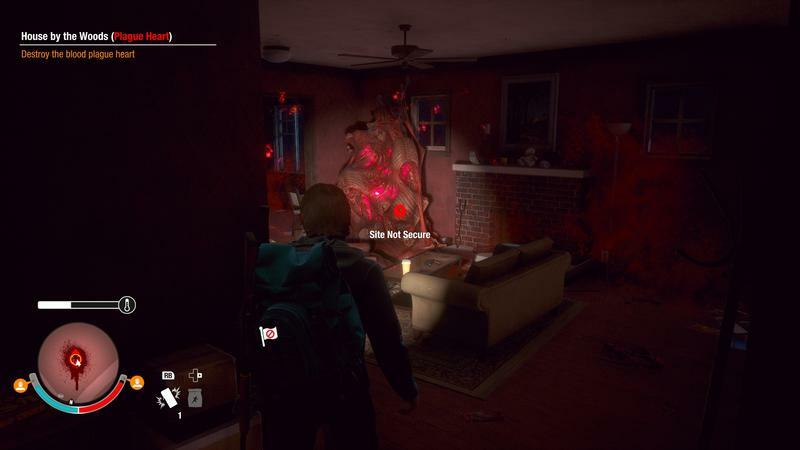 One character got caught in a Bloater's gas cloud and choked out instead of diving out. Another ran into the Molotov Cocktail I'd just dropped. A third just wouldn't disengage despite being on their last legs. 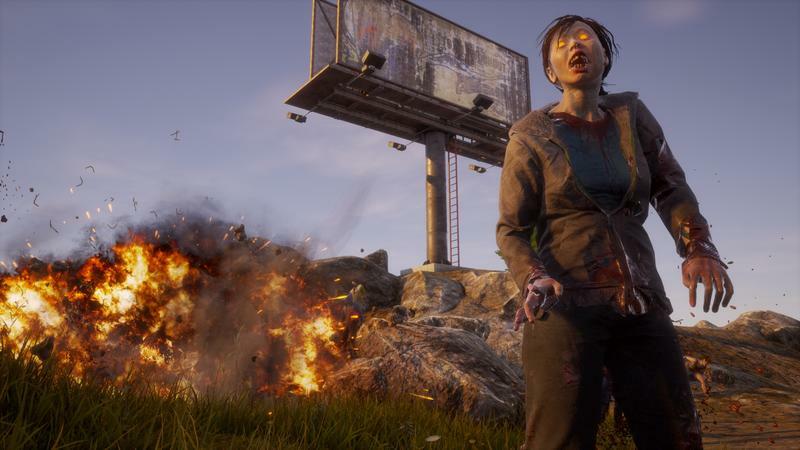 A good death in a zombie game should feel avoidable if only you'd planned better. If we'd stocked up beforehand, if we'd gone out well-rested, we would've made it. In this case, the real monster was the idiot AI. There are other little annoyances, too. If you lose the follower NPC you've picked up, there's no way to just summon them back to you. They could be anywhere in your base, or they could be walking around outside. 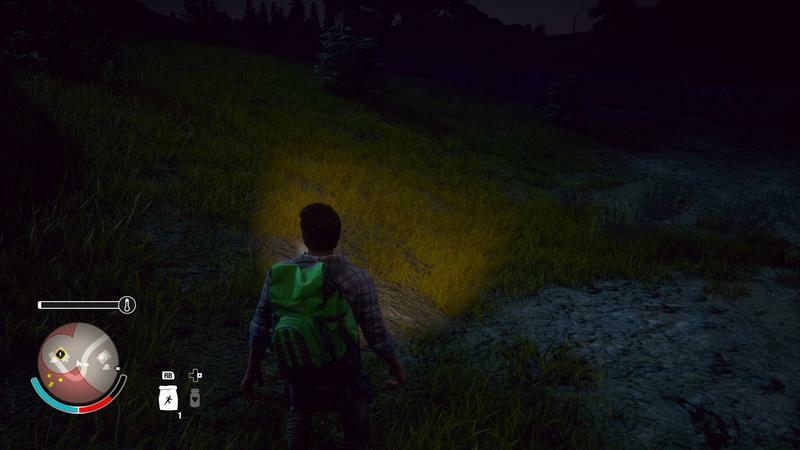 One time, one was following me according to the mini-map, but they were nowhere to be found near me. I had to log out and back in again to switch followers and continue. 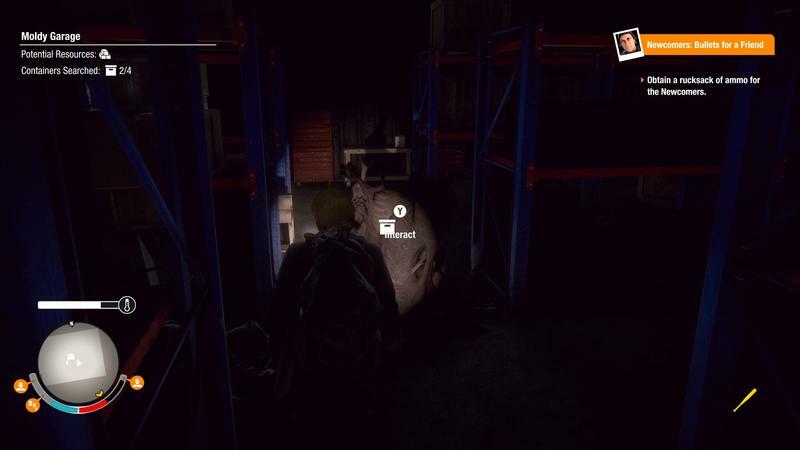 State of Decay forgets to tell you crucial things. It relies too often on loading-screen messages to relay important gameplay information. The game never once told me that I could move rucksacks of goods directly from my car's trunk to my house's inventory with the right trigger, or that I could slide down ladders with the left shoulder button. And because I was so scared of jumping off a ladder and dying, I just never experimented. Worse yet, my framerate was even less steady than the original game. I'm playing the game on an Xbox One X, so that's beyond inexcusable. Driving the car at night consistently flashed a weird horizontal white line across my screen, flickering on and off at random. 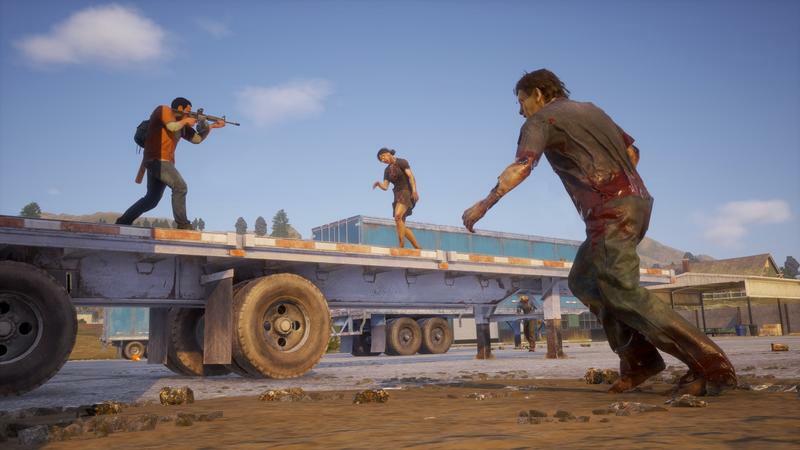 Massive zombie attacks – the time when you need a steady frame rate the most – sometimes brought the game to a near-halt. This might all sound negative, but it's more about preparing you. 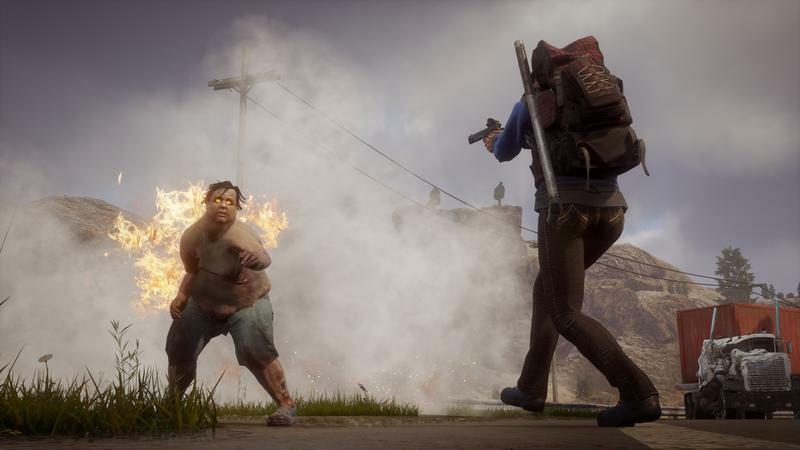 If you play State of Decay 2, you need to be ready for an experience that is sometimes so marred by bugs that you'll want to put the controller down by hurling it at the nearest wall. I'd had high hopes for a slightly less-buggy game than the original. 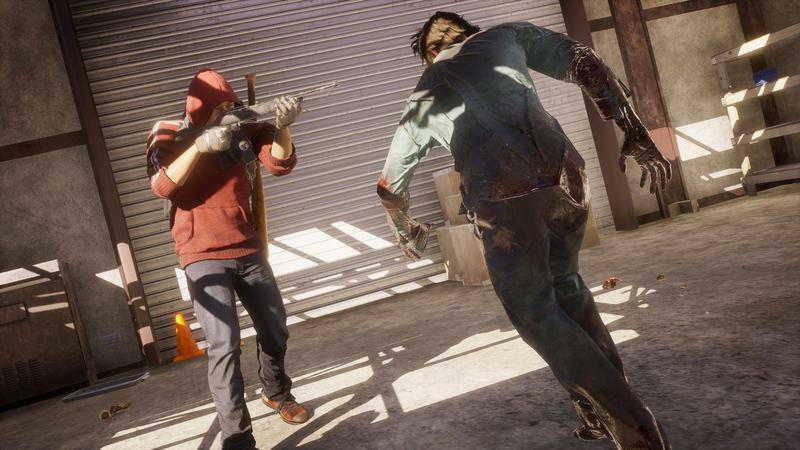 Undead Labs switched to Unreal Engine 4 for State of Decay 2. UE4 is one of the most popular and well-supported game engines and it runs countless Xbox One games. My hope was that would give us a better-looking game and a slightly less frustrating game experience. When I say better looking, though, I don't mean better looking than the original – that's a given. 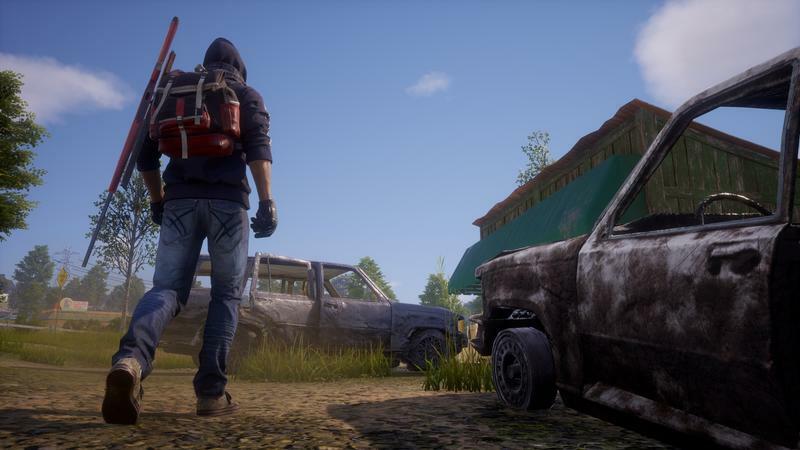 I mean that State of Decay felt years behind visually when it hit in 2013, and I was hoping that State of Decay 2 might not feel quite so outdated on release day. Once again, the game's art and visuals are mostly functional. They get the information across and that's about it. There's not much to catch your interest visually unless you count some cars' reflective rooftops, which are weirdly blinding and distracting. 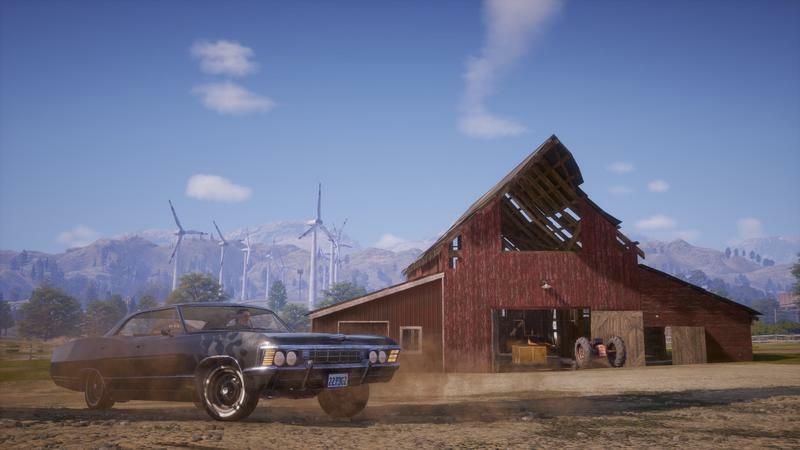 Again, that sounds nitpicky, but you spend a lot of time driving around in State of Decay 2, and in HDR the reflections are unpleasant. 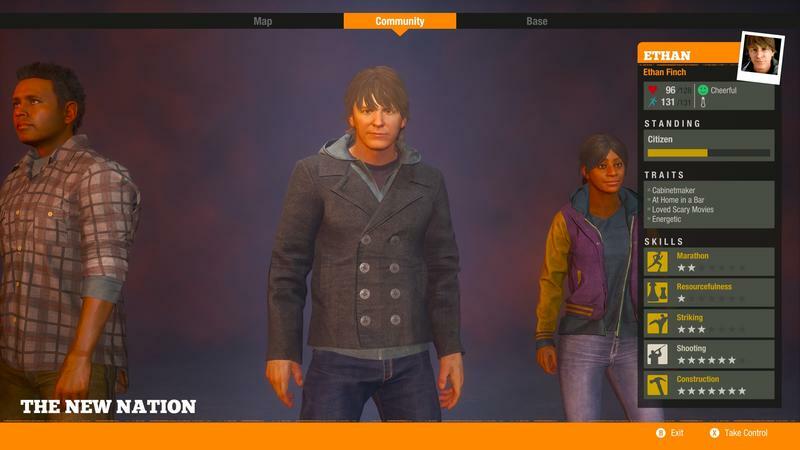 So what's actually new in State of Decay 2? Multiplayer. 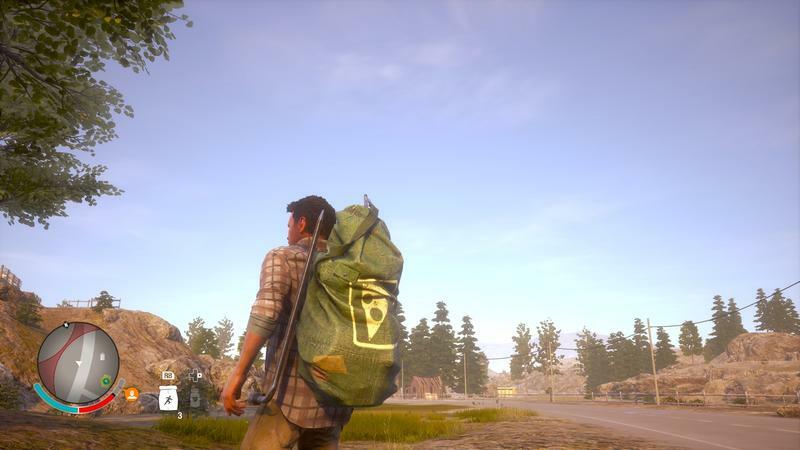 In the first State of Decay, the lack of multiplayer felt so egregious that some players spent time looking for the menu, thinking they were missing it, while others remember it being there but never engaging with it despite it never having been a part of the game. Now, though it is, and it's a lot of fun. It works kind of like games like Dark Souls, where you're sort of jumping into someone else's world with whatever you have on you. There's only cooperative play, to be clear, no PVP or antagonistic play here, though griefers are going to grief and will find a way. 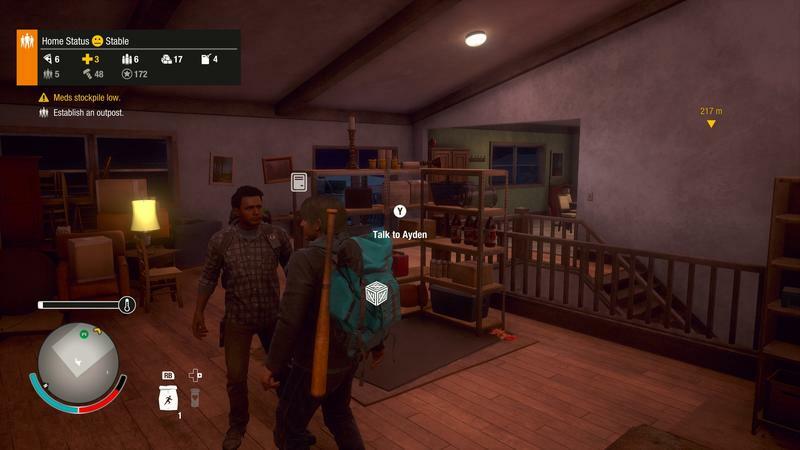 Jumping into a game with my brother, I was able to help him with my characters' more advanced skills, e.g., taking down zombies while he searched around houses and shops for materials to capture. 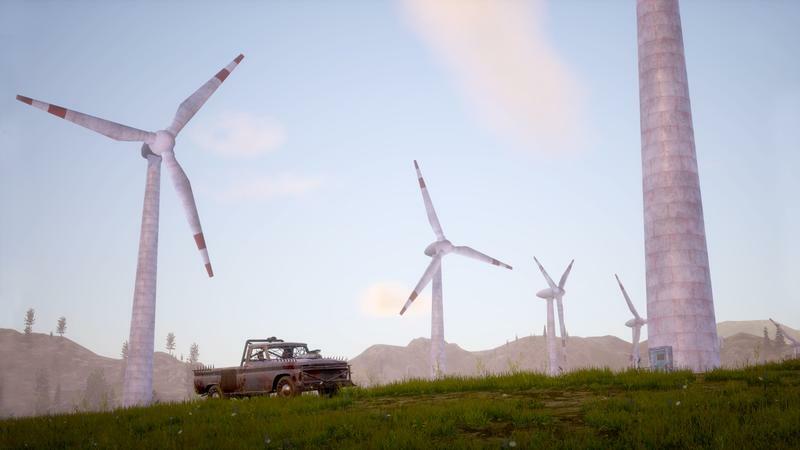 It's worth the price of admission just to tool around together with a friend and see what you can find, especially if the two of you have the $10/monthly Xbox Game Pass (upon which State of Decay 2 is available right now) . The multiplayer feels like the way the game was meant to be played, and I'd love to have seen a dedicated multiplayer mode that let me have a separate community for me and my friends to work and play in. It's a simple incarnation of multiplayer compared to some other games, but it's pretty fun all the same. 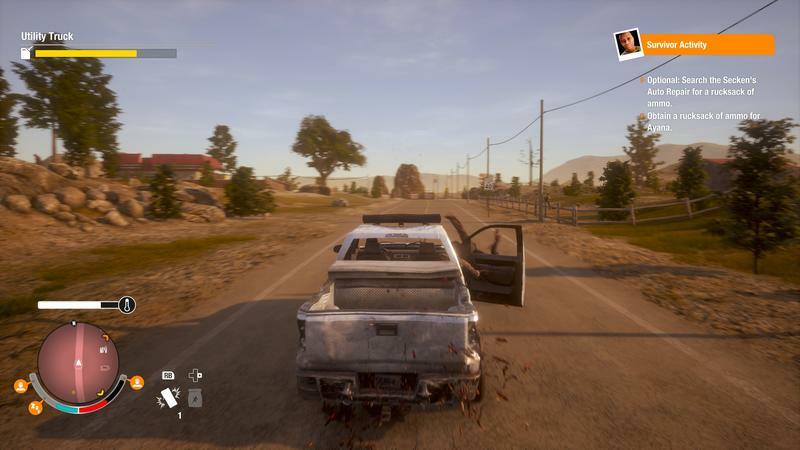 Despite State of Decay 2 being a game about survival, it's a little too easy. I think Undead Labs may have leaned toward easier play to mitigate the frustrating bugs, but that's purely conjecture. There are systems in place that you simply don't have to bother with. The story is even lighter than the original was. There aren't any stereotypical gun-nut rednecks to take down (thankfully), and there's not much in the way of progression. 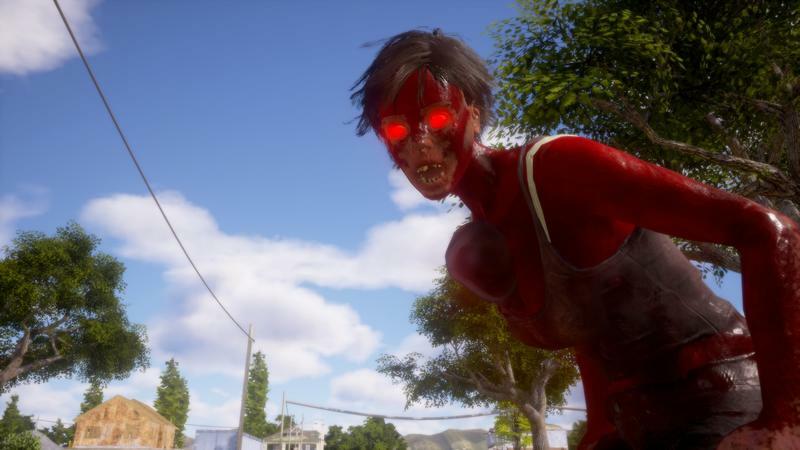 The town you're in is littered with this giant, red, fleshy things called Plague Hearts that generate Plague Zombies – the kind of zombies that can infect you and eventually turn you. I didn't realize until after I'd destroyed the last one, though, that this was the main story element of the game. There are other story threads about groups called The Network and Red Talon, but the game doesn't do much with them across the 35 hours I spent with the game. It's possible the game digs deeper into those in future playthroughs, which let you keep some benefits and group members from your previous playthrough, but I didn't run into anything conclusive with these story threads. The game has a day-night cycle to it, and each day counts up dramatically, as if each day in this zombie-infested world matters. But it never really felt like it did. For example, some of your home base facilities will require daily materials, but they don't require enough that it ever felt like an emergency. My people were occasionally hungry, but they never starved. Ammo hit zero a few times, but digging through a couple ammo shops and surplus stores took care of that. 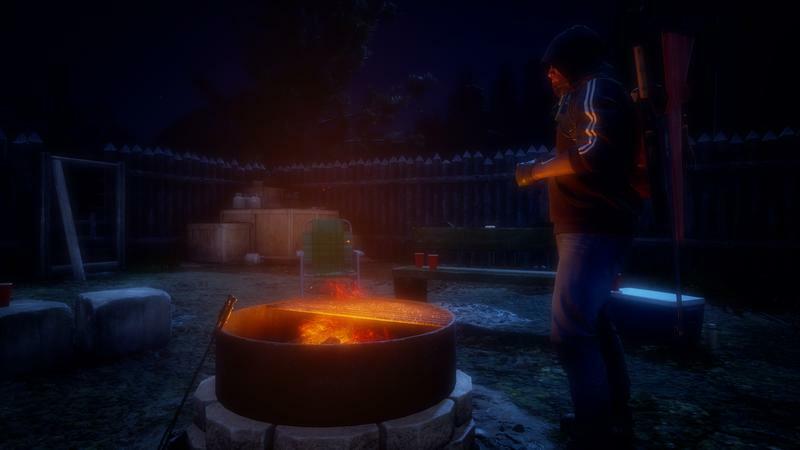 I'd love to see where Undead Labs could take the game with some more polish, where the bugs are fixed and the game is a bit less forgiving. But as it is, we have a still-compelling but ultimately very rough game that very much resembles its predecessor plus a fresh coat of paint. In 35 hours of play, I feel like I had enough of the game, though I think I might end up popping back in once in a while to see what the game does with the future communities. Maybe there's something there. DISCLAIMER: We received a code from the publisher and played through one entire campaign before starting this review.